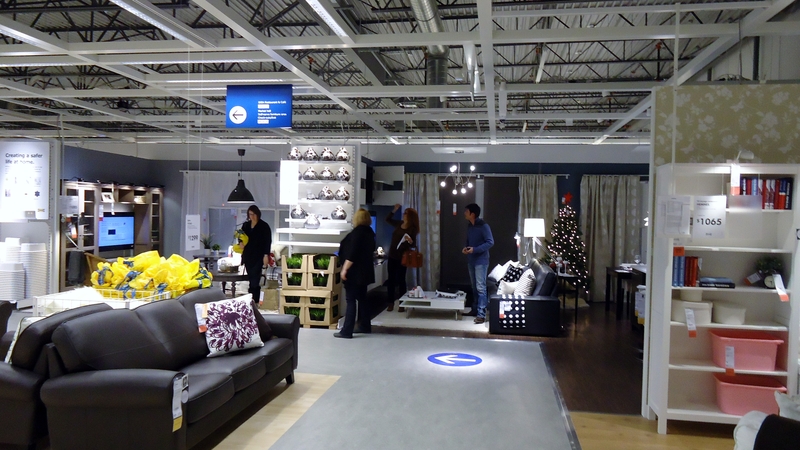 IKEA Winnipeg: Workout and Shopping Destination all in One. | Exploring Winnipeg and Beyond. 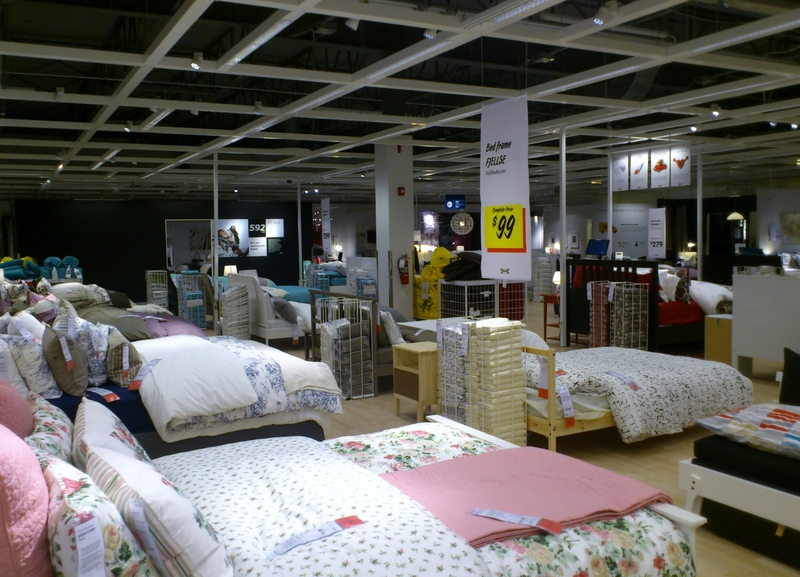 ← I can’t wait a minute, IKEA is coming. 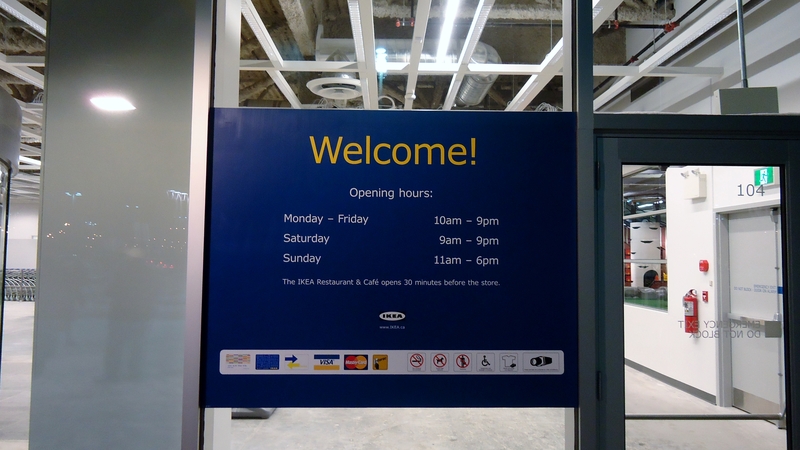 IKEA Winnipeg: Workout and Shopping Destination all in One. 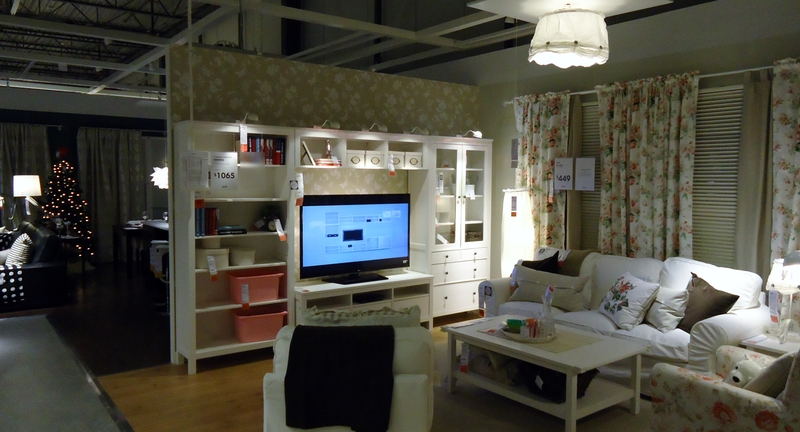 Swedish furniture and house wear retailer famous for furniture requiring a single Allen Key to assemble. Winnipeg, Manitoba definition: A four hundred thousand square foot mega-shopping destination, set to change the retail landscape in the province for decades to come. 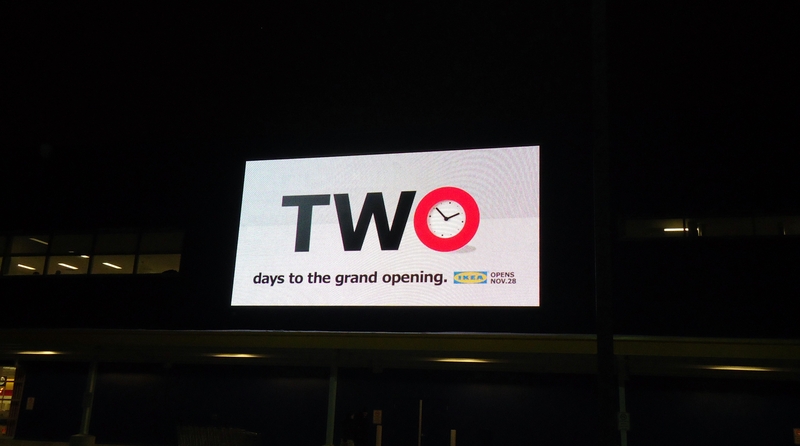 With IKEA set to open its doors in Winnipeg tomorrow we here at Exploring Winnipeg and Beyond were treated to a special media event last night. Along with some two hundred or so representatives from television, print, internet websites and radio. 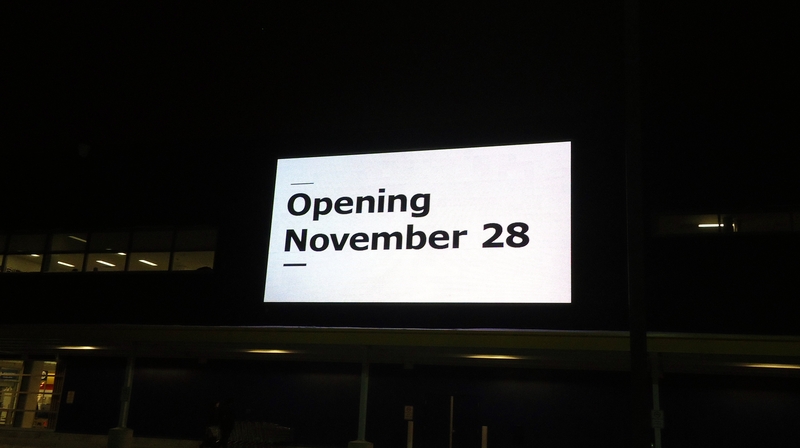 Only two more sleeps till IKEA opens! At 6:00 we all gathered in the sub-zero early evening shivering but anxious none the less to be among the first ones in Canada to see this new location. Promises of a meeting with the store general manager Stephen Bobko and a cocktail reception didn’t hurt either. Waiting outside with 200 of my now close personal friends. Might as well check out the store hours. As the doors opened and we were escorted into the massive entrance way the first views did not disappoint. Above us loomed the furniture gallery, to our left in the distance the 40 checkout lanes awaited future shoppers. 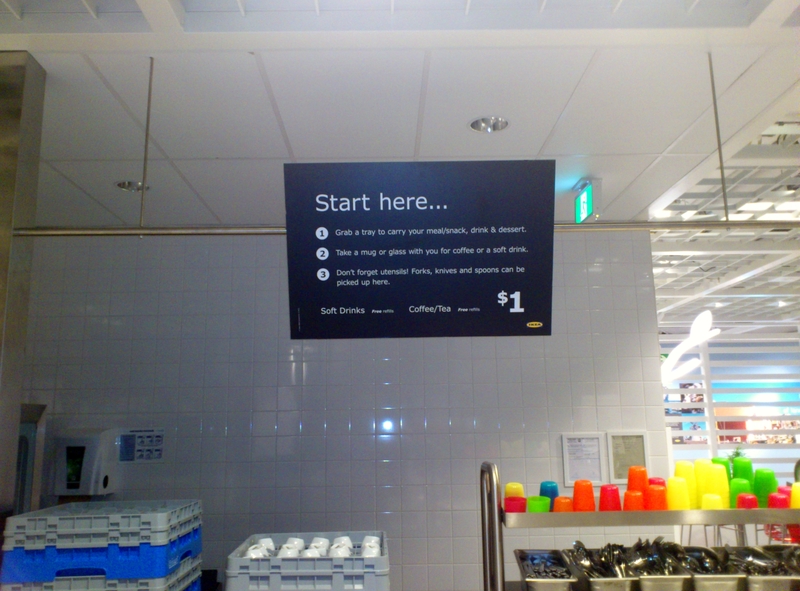 Being greeted by the helpful IKEA crew. However our meet and greet was set to begin, so away we went up the escalator to the 650 seat dining area. 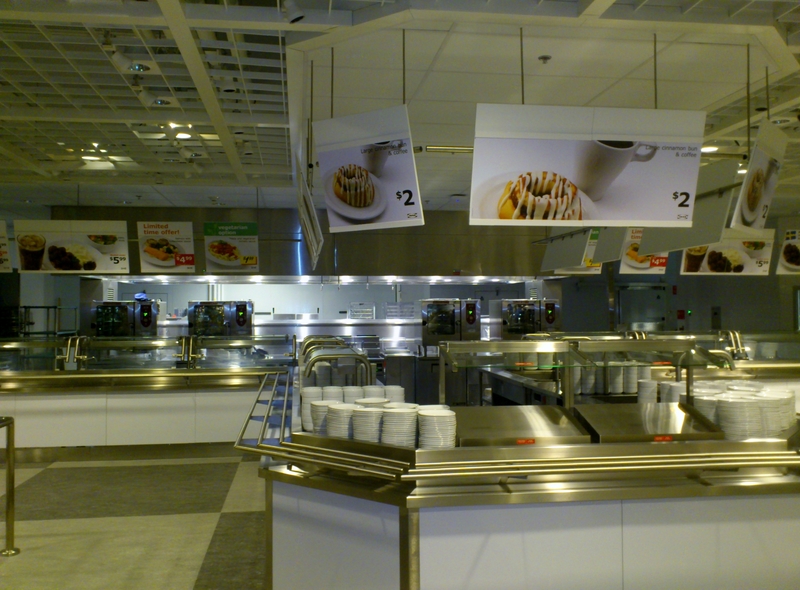 I must admit that compared to other IKEA outlets I have been to the new Winnipeg location’s dining hall is far and away the best I’ve seen yet. Well planned out spacious seating and a very well organized kitchen area that looks designed to handle masses of patrons with ease. Clean lines and efficient pathways to the service area. Much to our surprise, the famous meatballs were not on the menu for our media experience. 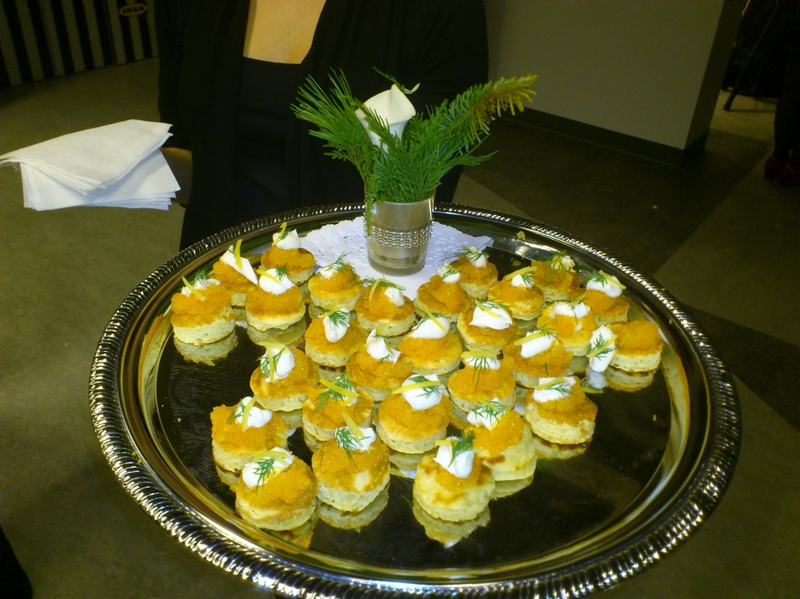 Instead IKEA hosted a very fancy cocktail reception catered by Winnipeg’s own Chef Terry Gereta owner of Mise Bistro. 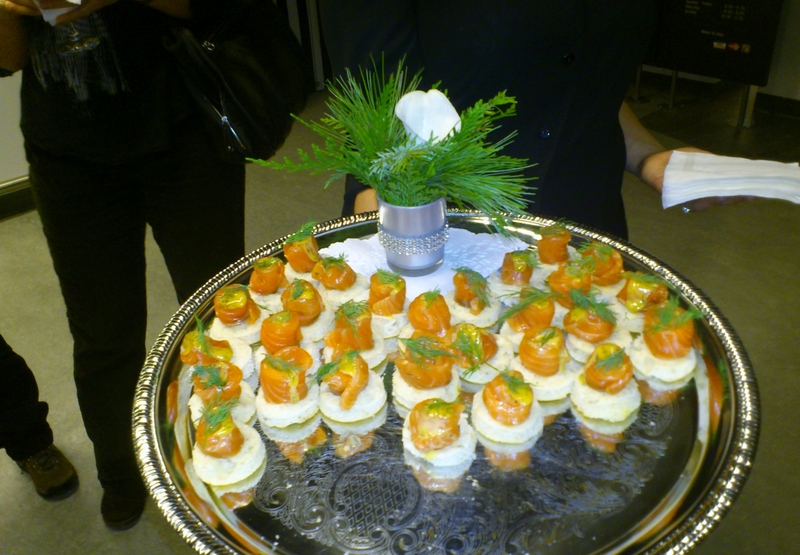 Caviar topped blini and mouth-watering gravlax appetizers were whisked about on silver trays by the able serving staff. Wine and Champagne were also being freely poured; the IKEA management was bringing the full court press in promoting this new store. 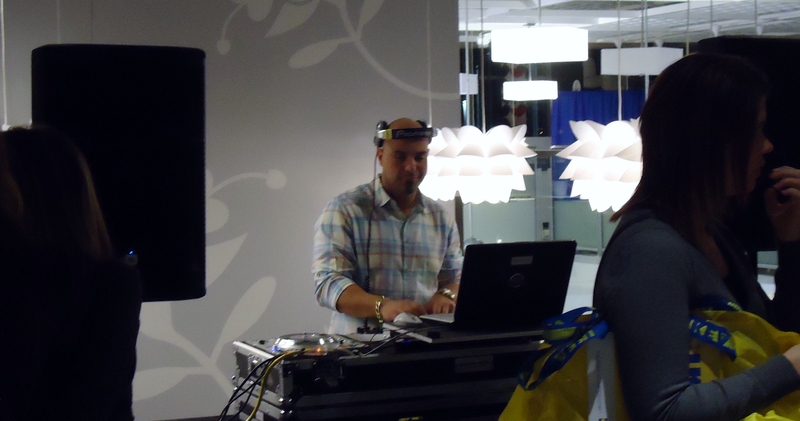 Publicists and staff members from Australia, Sweden, Toronto, and Quebec mingled with the media as a DJ pounded out a funky beat. Caviar! Does it get any better than this? Gravlax by Chef Terry Gereta. Stephen Bobko seemed a little nervous in addressing our small horde, perhaps knowing that a lot of free publicity was riding on his every word. He was however, gracious and honest with his excitement on the grand opening. 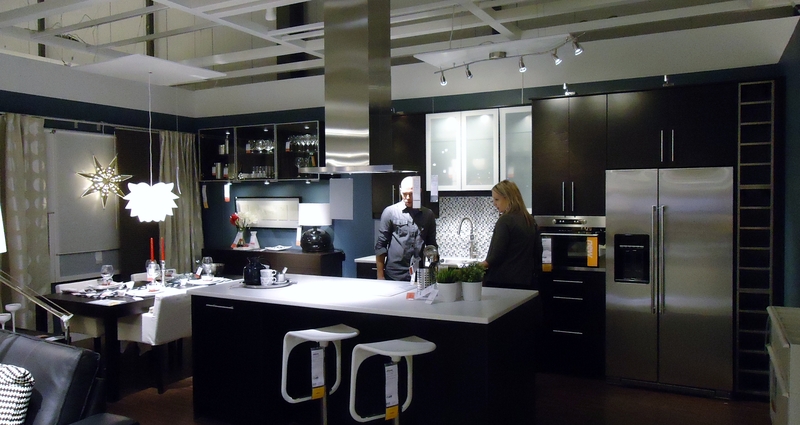 Convinced in every way that his IKEA would bring an exciting new tailored shopping experience to Winnipeg. He mentioned privately that IKEA researchers actually toured Winnipeg homes to investigate the lifestyles and settings we live in. Taking that knowledge they customized the products and layout of the store to fit our way of life. Spinning the tunes for happy shoppers. With Stephens speech over we were free to navigate the shopping area, many still with drinks in hand began digging out lists and hit the store in earnest. Not interested in being crushed by the throng Darlene and I hung back knowing ahead of time the purchases we would be making but still wanting to investigate the store. 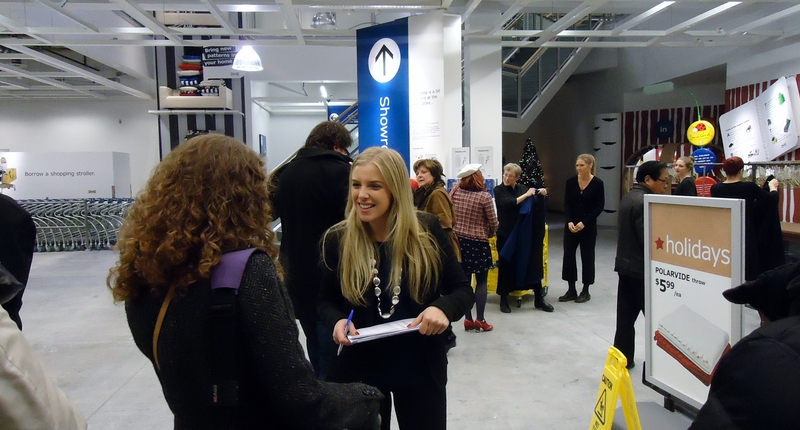 Entering the showroom gallery, or as I call it the maze. I was blown away by the attention to detail that has been put into the display areas. Real big screen televisions played silently in wall units where most retailers have cardboard replicas. The living spaces and kitchens look ready to move into. Mock apartments, family rooms, dining rooms not only were fully dressed but also had the square footage recommendations for each tableau. Around every corner a new scenario unfolded; rooms for students to high-end living were represented with efficiency and economy in mind. Just look at that incredible kitchen. This pair seem very interested. See, REAL flat screen televisions. Giving out helpful hints. The lower level is more the shopping experience most Winnipeg shoppers will be used to. Areas dedicated to each phase of life at home from bedding and storage solutions, lounging accouterments and home cooking essentials are represented. Yet another helpful face in the kitchen goods section. Be warned however, as the title of this article states, you will be walking and walking and then walking some more. The IKEA fact sheet we were presented with states that the suggested path through the galleries is close to 1.3 kilometers long. However if you are prone to browse and wander expect to be walking twice or three times that amount in a single shopping trip. 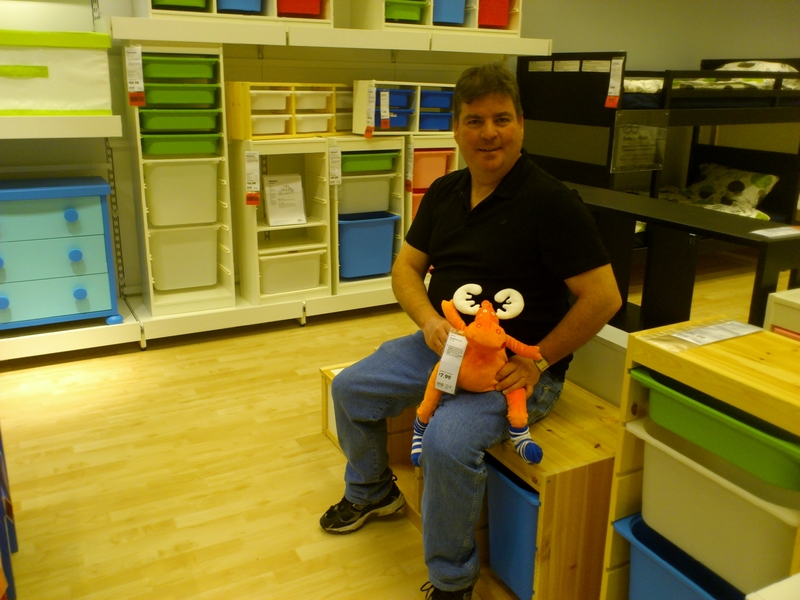 I know personally that last night after a day at work and a trip to IKEA my legs were exhausted. 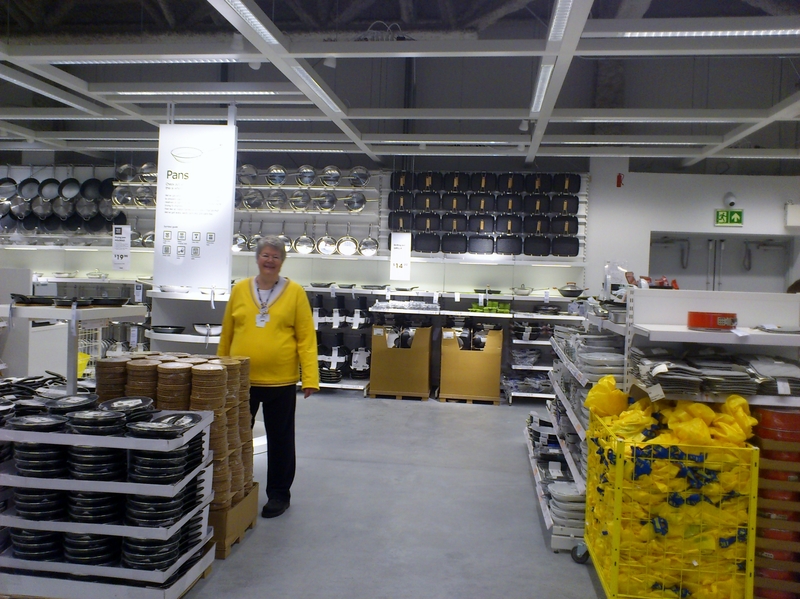 I quipped to a staff member that IKEA is actually just a Swedish word for total fatigue. He chuckled and nodded in agreement. 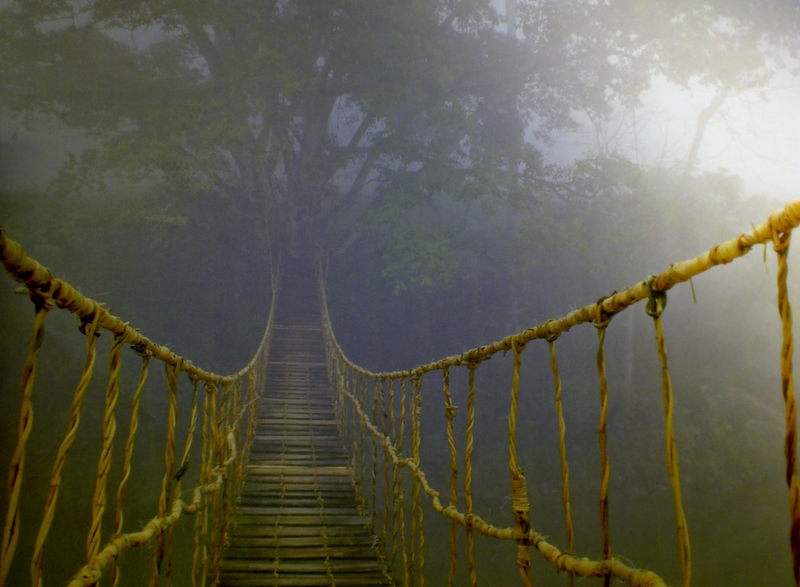 The entrance to the “jungle needs” department. Yes I did take this photo inside the store. Comment if you can tell me where I found it. All in all though Winnipeg, get ready for a shopping experience like this city has never seen before and on the way out make sure you pick me up a package of those yummy Swedish Meatballs. This entry was posted in Why Winnipeg Rocks!, Winnipeg and Hometown Goings On, Winnipeg Events and tagged Allen Key, Canada, Ikea, ingvar kamprad, Mise Bistro, Retail, retail landscape, Shopping, Shopping Destination, Stephenn Bobko, Sweden, Swedish Meatballs, Terry Gereta, Winnipeg. Bookmark the permalink. Sounds like a good evening, I like it that they checked around first with some research and just didn’t build the normal IKEA mall..
Yea Rincewind, it seems like it was really well thought out from the first phases of planning and construction. But when your company is dropping millions into a store I should be custom fit to the community. Looks like you had a good experience.